NOFILMSCHOOL.COM posts an article on FRAMELINES! 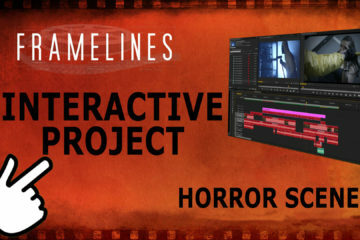 NOFILMSCHOOL.COM has just posted about the FRAMELINES Interactive Editing Tutorial. Many thanks to the folks at NOFILMSCHOOL.COM for helping spread the word about our project and TV series. Peter John Ross nominated for 2nd Emmy!!!!! The cable show Clip Frames is airing on DATV in Dayton. Time Warner [b]Channel 5[/b] and [b]Digital Ch 99.6[/b] on [b]TUESDAYS at 5:00PM and FRIDAYS at 10:30AM[/b] Clip Frames features short films and behind the scenes looks at features and short films. The Cell Phone Monologues compilation won the Grand Prize at the Westerville Film Festival 2013! Prizes included a $50 gift card to AMC Theatres and additional gifts. This was the first annual film festival and competition and the films were a last minute addition to lineup!